We had another good time at the gallery last night. 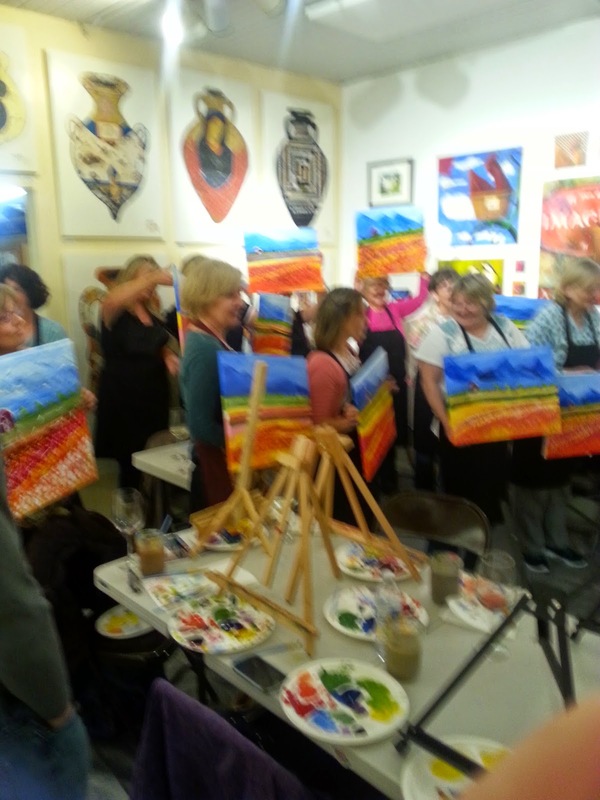 Kerrie was teaching us acrylics in doing her tulip fields last night. I don't know that mine turned out to be a "tulip field", but I certainly had a good time. I kept giving the excuse that I could have really used a glass of wine to relax and release my creative inhibitions, but I was pouring the wine last night. I love the way were all encouraged to relax and just paint. Everybody added their own twist to the fields and to the mountain and skies. I have to admit, I worked on it some more this morning. That is the beauty of acrylics, they are so forgiving. Thank you Spiral Gallery for the classes.